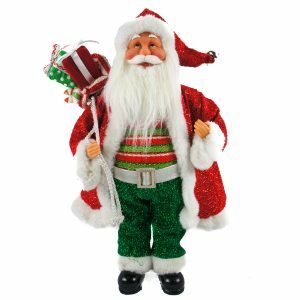 This snazzy little Standing Santa is holding a gift- perhaps it is for you! Measuring around 9cm in height, this is the perfect sized bauble for your tree, a wreath, or perhaps a wrapped package. 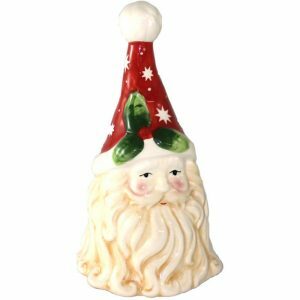 This sweet Santa is wearing a flocked cap and scarf and has a convenient golden cord for hanging near the tip of his hat. 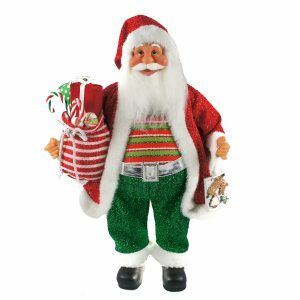 A tiny jingle bell gives him a bit of flair, and he holds a festively wrapped gift in his hand. This would be a great way to greet friends and wish neighbours well this holiday season, that won’t cost a lot. 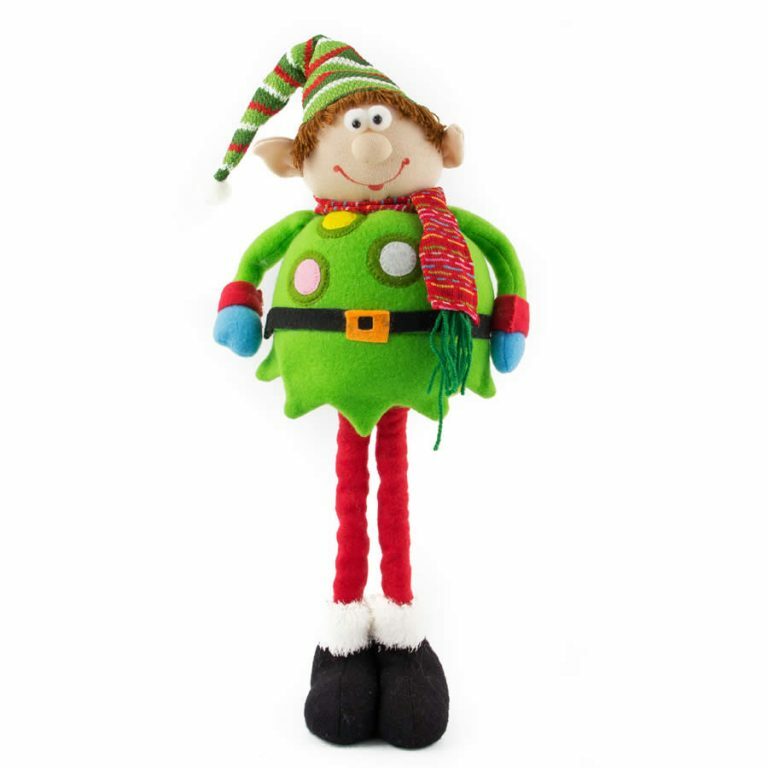 Everyone will find this charming little elf fun and familiar, reminding many of the childhood pleasures of Christmas. 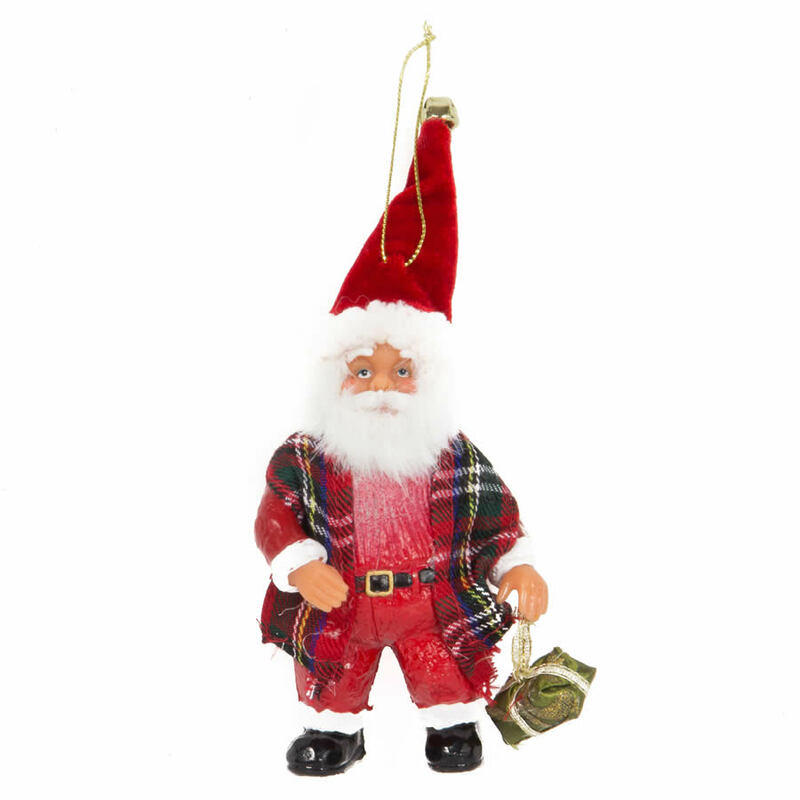 Plan to give a few of these dapper gents away, but be sure to keep one for your own tree, too. He will become a holiday bauble that you look forward to seeing and displaying year after year!